Greaves Care offers quality repairs by Company-trained mechanics, Greaves certified quality spare parts, quick service, transparent operations with a 6 months’ warranty on select parts. It also offers end-to-end vehicle service covering body, engine, transmission, electrical, lubricants & more through all of its 100 stores which have a standardized branded look & feel and customer centric process & systems. The quick turnaround time ensures customers get higher uptime on road, improved productivity & higher earning opportunity. Customers can also access the customer lounge and relax, access internet on their mobile phones through free Wi-Fi and watch TV while their vehicle gets serviced. They also get advice on vehicle upkeep & maintenance. In addition, frequent service camps, on-road assistance & night camps have been planned to help keep customers on the go and earn in an uninterrupted way. It will also be a center for service & care for products in the Farm & Energy segment. 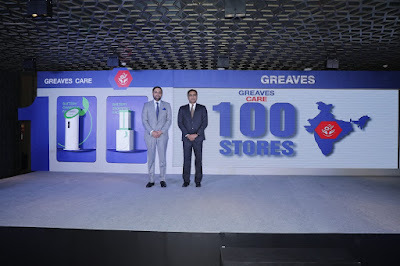 These 100 Greaves Care service centers not only provide entrepreneurial support to workshop owners, but gives good opportunity to re-skill mechanics who are key breadwinners for their families & now live with a sense of pride in their communities.